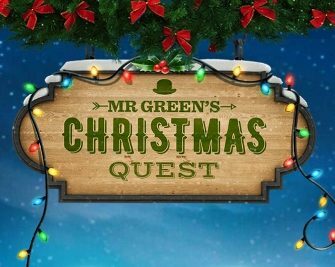 Mr. Green – €1 Million Christmas Quest / Day 3! 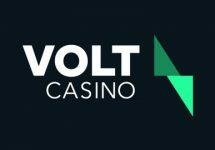 Play minimum 50 spins to qualify! 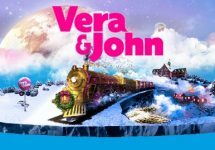 Win up to €750 in cash on day three! 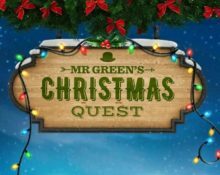 The early Christmas gifts and rewards keep coming and keep getting better and bigger at Mr. Green. 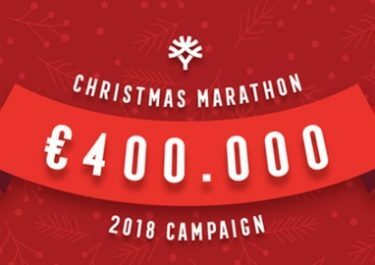 On the third day of his €1,000,000 Christmas Quest player can earn tickets to a €2,500 cash raffle, simply for playing a selection of slots. Top prize is a whopping €750 in cash with another 24 prizes ranging from €20 – €500. Get spinning! Today, Santa and Mr. Green got a Christmas stocking full of cash to give away to 25 lucky players. Spin with a minimum bet of €0.25 on any slot in today’s game collection until 23:59 CET and earn one ticket to the raffle for every 50 spins, up to 10 tickets per player. Only real money spins qualify. On 20th November 2017, they will randomly draw 25 winning tickets and allocate the prizes, ranging from €20 – €750, in the order the tickets are drawn. All prizes will be credited with no wagering requirements within 72 hours of the draw.